The Diamond Z560 Stationary Cat II 3 Pt. 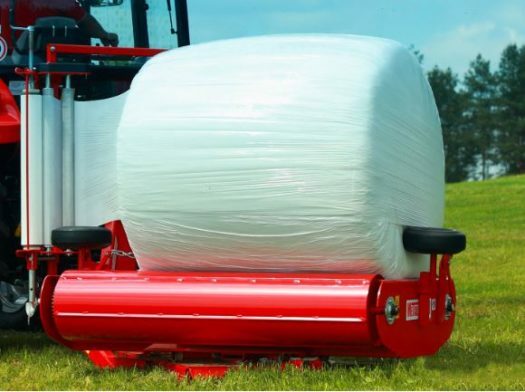 Hitch Bale Wrapper is an economical solution for smaller farmers wrapping fewer than 400 bales a year. The Diamond Z560 Bale Wrapper a Stationary Cat II 3 Pt. 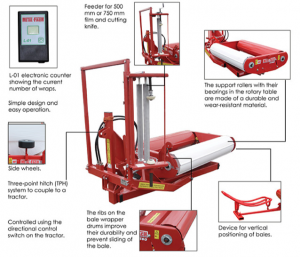 Hitch Unit is an economical solution for smaller farmers wrapping fewer than 400 bales a year. Maximum bale diameter is 4’x4’ and maximum bale weight is 2200#. The bale is unloaded by raising the table with the 3 point lift (please view video below). Film is cut manually. A monitor indicates the number of current wraps when working. 20” film may also be used with a minor adjustment. Wrapping time per bale is approximately 80 seconds with 30” film. An optional off load ramp with end tip is available. The machine is designed to operate in a stationary position with the table resting on the ground. CAT II 3 Point Hitch – Minimum tractor of 45 HP is required to lift the machine alone. 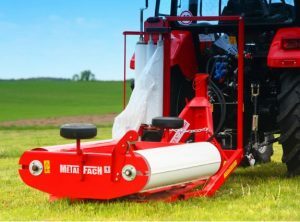 The bale wrappers are intended for wrapping individual bales of semi-dry grass and legume hay used in the process of ensilaging. Feeder for 500 mm or 750 mm film and cutting knife. The support rollers with their bearings in the rotary table are made of a durable and wear-resistant material. L-01 electronic counter showing the current number of wraps. Controlled using the directional control switch on the tractor. 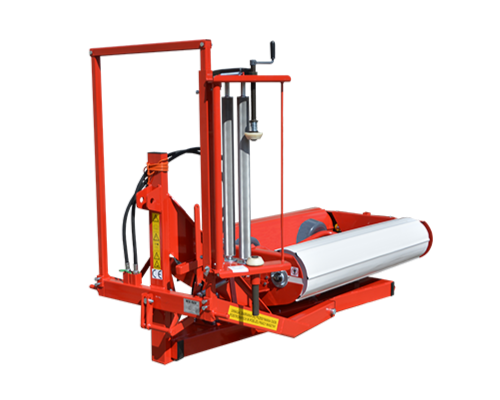 The ribs on the bale wrapper drums improve their durability and prevent sliding of the bale. 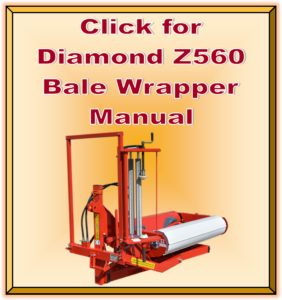 The Diamond Z560 Bale Wrapper is a stationary machine. Power is generated by the hydraulic motor fed directly by the tractor accessory pump. 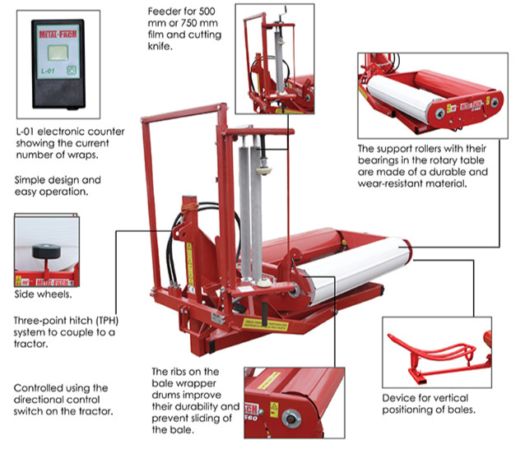 The machine features the universal 500 and 750 mm film roll feeder. The design of the Diamond Z560 Bale Wrapper is a result of years of design and production work of Metal-Fach engineers. Hence the products boast the highest manufacturing quality with excellent attention to finish and details as well as extreme reliability. SIMPLE DESIGN: The simplicity of the structure ensures years of trouble-free operation. 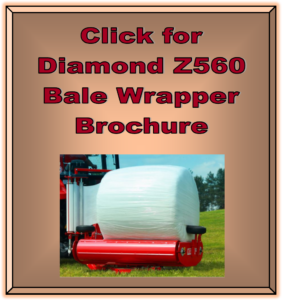 When you come to pick up your Diamond Z560 Bale Wrapper – ask to see our Hay Bale Basket!